Have you ever reflected on the fact that for some time now you are not as confident as you once were in business situations? When socializing, are you not as outgoing as perhaps you once were? Do you believe that your confidence has diminished? Perhaps the reasoning for this decline in your self-esteem is caused by your dissatisfaction of the appearance of your teeth and smile. Although as a society we would like to believe that what we are on the inside is of most importance, the fact is outward appearances do matter. Today, with the various cosmetic dental procedures we offer to enhance and correct your smile and dental health, rest assured that our professional staff at 3 V Dental Associates will do their utmost to obtain your optimal smile. 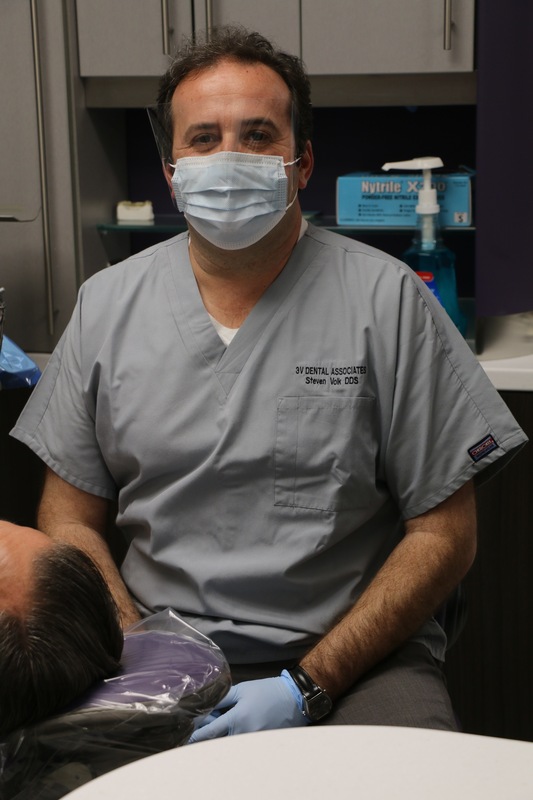 Our expertise, extensive experience and friendly staff will do their best to obtain your best smile possible. The most inexpensive and easily obtainable procedure would be teeth whitening. Various methods and products can be utilized and, for some, that might be all that is required to obtain he perfect smile. Whitening is not only cost-effective but safe as the solutions used do not materially have any negative effect n the structure of your teeth. 3V Dental Associates is proud to offer Zoom! Teeth Whitening services at our Port Washington location. Another option is Porcelain Veneers. In this process, a thin shell of ceramic is bonded to the surface of your teeth. Our skilled professionals customize your veneers to transform your smile. A positive key element in porcelain veneers is that less tooth reduction is required as opposed to crowns. Invisalign is another alternative that you might like to consider. Improperly aligned teeth will compromise not only your appearance but the health of the mouth. Correction of overcrowding and crooked teeth can be alleviated with Invisalign. Invisalign entails the use of clear, removable braces or aligners to redirect the teeth into the proper position permanently. 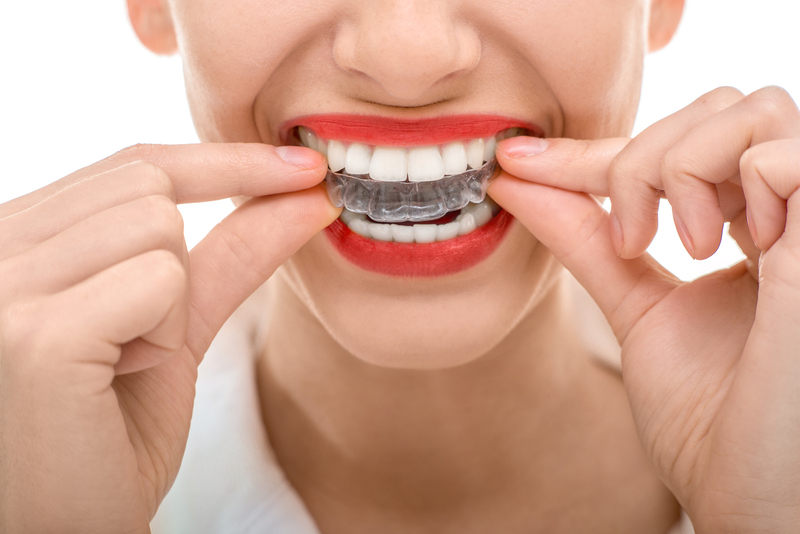 Instead of uncomfortable and cumbersome metal braces, Invisalign utilizes clear, plastic aligner trays; gradually moving teeth to correct positioning. Let us explore the possibility that straightening the teeth, correcting gaps and alignment with Invisalign may be a viable solution for your dental requirements. Now that we have given a generalization of our most popular cosmetic procedures, why not call for a consult? During consultation you will be asked to describe your expectations and what you like and dislike about your dental appearance. Photos of your past appearance shown to our dental team or photos of how you would like to look will be helpful for our evaluation. X-rays will be administered, treatment options will be explored, cost will be discussed and time required to implement plan will be detailed. Invest in Your Smile and Invest in You! Investment in your oral health is immeasurable. With the varied procedures offered at 3V Dental Associates, there is no reason why one needs to accept a diminished self-esteem related to your oral appearance when the possibilities for a great smile are limitless. Give us the opportunity to consult with you and enlighten you in the many ways in which we can give you a beautiful, enhanced smile and a more confident you. Your smile is one of the most important gestures you can display to the world. However, you may be reluctant to smile if your teeth look less than perfect. Cosmetic dentistry goes beyond the bounds of conventional dentistry, offering solutions for patients who simply want to improve the quality of their smile. One of the first things to do is ask anyone you know who has had cosmetic dental treatment for a referral. Visit the doctor’s website first, then give them a call. They may want to set you up for a preliminary consultation, which is a great way to get more information about them. Don’t forget to ask your own dentist who they would recommend. Even if a particular dentist has the best reputation in town, he or she still has to be qualified. Look for information on their website regarding where they went to school and whether they’re a member of any professional organizations. Look for proof that they’re keeping up with the latest changes in the industry with continuing education courses. In addition to being qualified, it’s best to find someone who has experience in various types of cosmetic dentistry procedures. A more experienced cosmetic dentist would also be better prepared for emergencies. While most procedures are smooth and successful, it’s always possible for problems to arise. Dentists who perform these types of procedures are usually quite proud of the results they produce. They’re likely to have several before-and-after photos that can give you a better idea what to expect from them and the procedure, itself. Remember to verify that the photos you’re looking at are of that dentist’s actual patients, since it is possible to produce them commercially. Make a list of exactly what you want to change about your smile before seeing anyone about it. You might be surprised how much more you’ll think of when you take the time to write it all down, as opposed to just showing up and neglecting to mention something. This allows your doctor to compare what’s on your list with what can realistically be done. Your doctor may also propose their own recommendations, based on what they think they can help you achieve the desired cosmetic effect. Finding the right cosmetic dentist requires lots of consideration. Cosmetic dentistry is an increasingly popular field for many dentists and it’s important to make sure the one you choose has the qualifications and experience required to give you the best smile possible. To schedule your cosmetic dentistry consultation today, give our office a call. If you are a typical parent, you have likely come to the realization that the last thing on you child’s mind is his or her dental health. In the fast-paced, fun-filled world of friends, sports, video games and sleepovers, what kid has time to worry about dental hygiene? That’s where we, as parents, need to step in and take on the all-important role of cheerleader for our children when it comes to their dental health! As moms and dads, we have the privilege of preparing and empowering our kids to enjoy life to its fullest. An all-important part of that task is helping them to understand that practicing healthy lifestyle patterns is a key element in the art of successful and happy living! And, as your family’s dentist will certainly tell you, dental hygiene is an all-important part of your child’s overall physical health. But how can we successfully get this message across in a way that will have lasting impact in the lives of our kids? The best way to teach anything, of course, is by personal example. Don’t ask that your child follow a “do as I say, not as I do” policy when it comes to the practice of dental hygiene. Don’t just be a cheerleader. Set the standard! Not only will you and your teeth benefit from strong, ongoing personal dental habits, but you will find your role as cheerleader in regard to your child’s practice of oral health much easier. Set a high standard for yourself, and your child will be more likely to follow in your footsteps! Further, reinforce your personal example with sound, positive information. Educate your child as to the life-long benefits that come from pursuing a healthy lifestyle, which naturally includes proper care of his or her teeth. Patiently help your child to understand that choosing the path of good health will reap countless physical, mental, emotional and social benefits, both now and in the future! Instilling positive life lessons in our children can be an intimidating task; but it’s not as difficult as we may think. No single individual possesses more power to impact the life of a child than a parent. Don’t underestimate yourself! Your personal example alone wields an incredible impact in shaping the future lifestyle choices of your child. Add to that just a little bit of loving instruction, and you will be amazed at the results! We’ve all been there: walking down the toothpaste aisle, searching for the best toothpaste. But which toothpaste IS the best? While everyone’s needs will differ based on their goals (teeth whitening, protection against gingivitis or sensitive teeth, and more), we put together a small list to help you weed through the masses. Of course, your toothpaste is only as good as your dental team, so don’t forget to schedule your regular checkups AT LEAST once a year! If their signature strips aren’t your style, but you’re looking for whiter teeth fast, opt for Crest’s whitening toothpaste that de-stains teeth by an impressive 80% in just two weeks. As an organic alternative to Crest’s toothpaste, try Tom’s of Main. Tom’s of Main is letting mother nature tackle nasty breath with this long-lasting toothpaste. It’s made from all-natural flavored oils and ingredients such as licorice root extract. Between breakfast, lunch, dinner, and the occasional kiss or two, mouths can be messy. Tidy up your dirty mouth with Colgate’s advanced cleaning toothpaste that not only whitens teeth, but prevents them from cavities, plaque buildup, and other oral diseases. We’ve all been there, friends; life gets busy, and brushing gets tedious. If you find yourself skipping this bedtime ritual out of pure lack of energy, AM & PM toothpastes from Go Smile work great as reminders to brush twich a day. For those who pass on peppermint flavors, say hello to a smile that’s cavity-free and grapefruit flavored. Brush twice a day with this friendly formula that strengthens and polishes teeth while satisfying your sweet tooth. If you find yourself unfortunately suffering from bad breath and teeth stains, up your brushing game. This dual-purpose cream from Marvis scrubs teeth stainless, and saves breath from going sour with long-lasting flavor. This individual pot-o-peppermint is perfect for partners with a sharing complex. Developed from plants essences, mineral clay, and sea salt, this formula is packed with hygienic benefits like remineralizing tooth enamel and strengthening teeth. Attention basic brushers: there is such a thing as a superior tooth scrub. GLO Science features all-natural whitening silicates that practically guarantee a radiant smile. Coffee might get your through the day, but unless you’re drinking through a straw, it’s seriously straining your teeth. Rembrandt’s fast acting formula is made with peroxide to specifically target and whiten yellow areas for a glowing smile that no longer resembles a dimly lit room. Is There a Connection Between Oral Health and Your Physical Health? The importance of good oral health is well known; something we’ve all been taught from a young age. To avoid cavities, gum disease and tooth loss, regular visits to the dentist is crucial. However, there are also links between poor mouth health and poor body health that are not as commonly known. In this article, we will examine some of the surprising connections between the health of the mouth and the health of the body. The connection between diabetes and periodontitis is one of the strongest of all the connections between the mouth and body. The inflammation originating in the mouth due to periodontitis weakens the body’s ability to control blood sugar. According to Pamela McClain, DDS, former president of the American Academy of Periodontology, periodontal disease further exasperates diabetes because the inflammation impairs the body’s ability to utilize insulin. But, because of the relationship between periodontics and diabetes, getting one condition under control will result in better management of the other. Good blood glucose control is vital to controlling and preventing mouth problems. According to Robert Bonow, MD, past president of the American Heart Association and chief of cardiology at Northwestern University’s Feinberg School of Medicine, although there are threads of evidence between oral health and heart disease, they’re not yet tied together. However, many experts tend to agree that there are credible reasons why mouth health and heart health may be intertwined. Several of the large National Health and Nutrition Examination Survey (NHANES) concluded that gum disease is a significant risk factor for diseases of the blood vessels. Data from another study of more than 50,000 people found that those with fewer teeth and more gum disease had a higher risk of stroke. And yet, other studies have uncovered no association between gum disease and stroke. Despite the lack of absolute evidence completely linking gum disease and heart disease, the factors are significant enough to warrant more studies. People with low bone mass might experience oral problems that their dentist may recognize as the first stages of osteoporosis. There are several signs that alert dentists to the possibility of osteoporosis such as bone loss in the jaw and around teeth, tooth loss, loose or poorly-fitting dentures, and gum disease. Early intervention can often prevent the broken bones and tooth loss that accompanies advanced osteoporosis. Regularly scheduled dental exams and diligent care are key to overall oral health. To schedule a checkup with 3V Dental Associates today, please contact us today. We look forward to your visit. Some exciting things around here to earn rewards on! -Refer a friend for Invisalign treatment and receive a FREE teeth whitening upon acceptance of their case! -Write a review on Google or Yelp and receive 5% off your total treatment! -Enter our raffle to win a FREE Sonicare toothbrush! -Care to Share? Refer a friend or family member and receive$50 credit in your Dental Bucks account! As always, don’t forget toLike Us on Facebook! $3,999 PLUS FREE TEETH WHITENING! appointment for this special event!